Or 4 x $125 easy payments interest free with Afterpay. 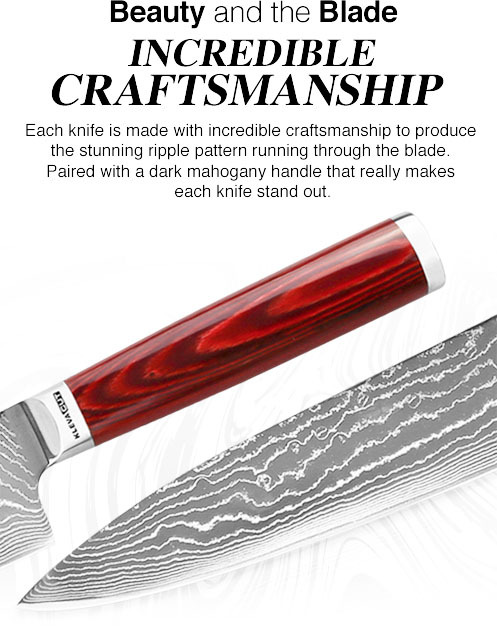 Resulting in an exquisite ripple pattern finish that oozes style and quality. 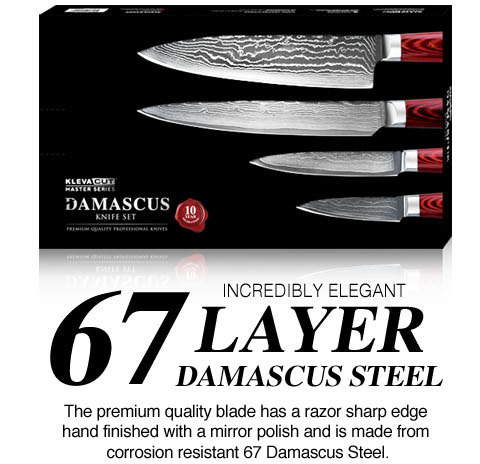 The razor sharp edge combined with the incredible toughness and durability makes these knives an essential part of your kitchen. 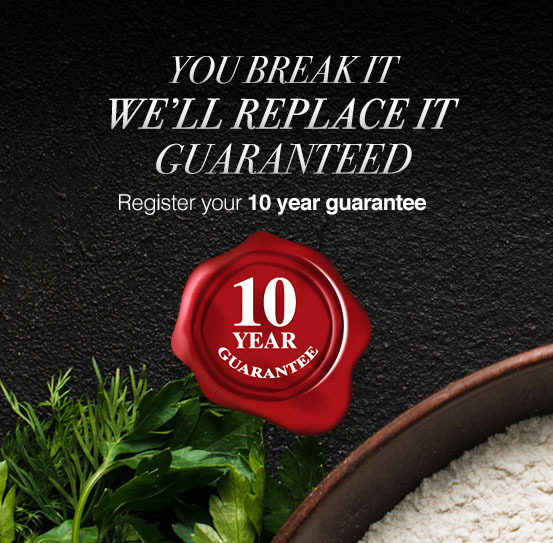 Versatile and perfect for everyday kitchen use. 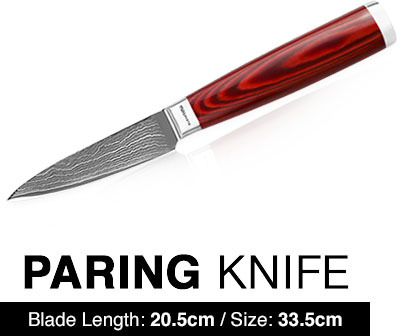 Whether it be chopping, slicing or mincing, this knife will do the job excellently. 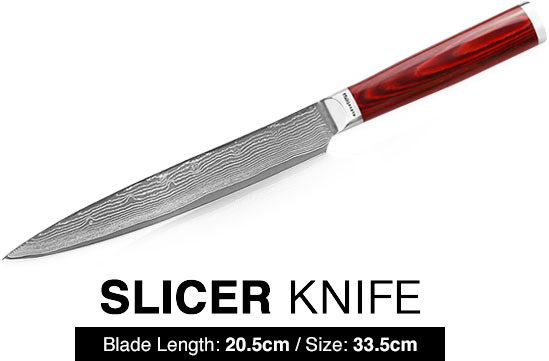 This knife excels when a thinner, more precise cut is required. 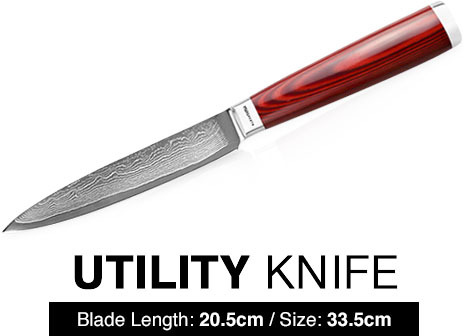 Ideal for carving meat, fish and poultry. 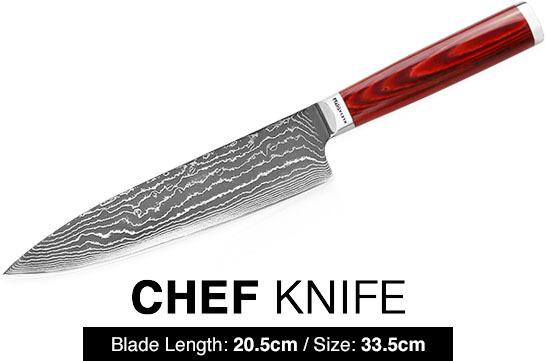 A mid-sized knife that like the chef knife, can fulfil a variety of tasks. Particularly great for simple, efficient chopping. Perfect for peeling fruit and vegetables, as well as scoring food surfaces. 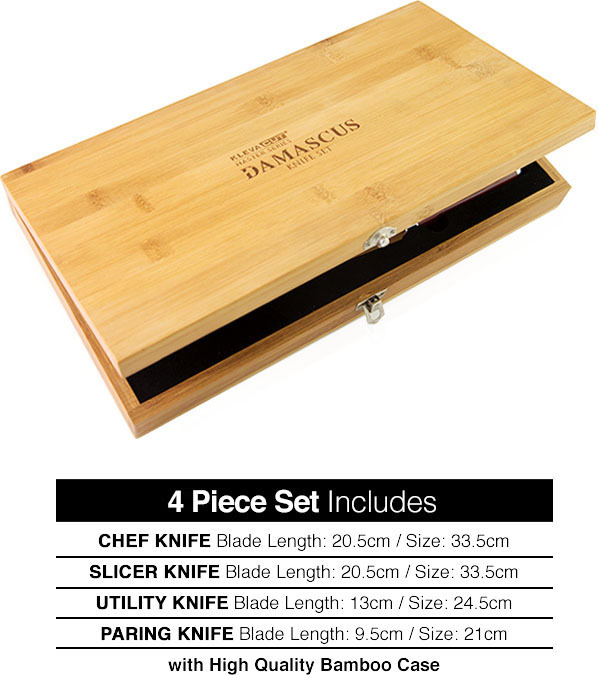 The small blade allows for more dexterity and also works well when slicing particularly small items. 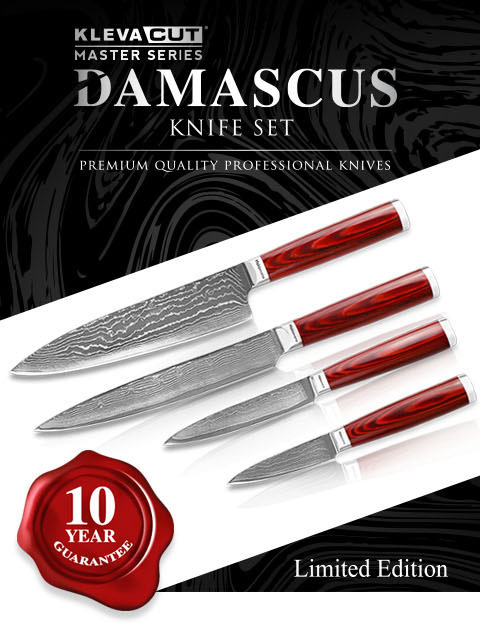 The earliest incarnations of Damascus steel first appeared in India around 300 B.C. The steel continued to develop in the Syrian city of Damascus. This ultimately led to the name ‘Damascus steel’. 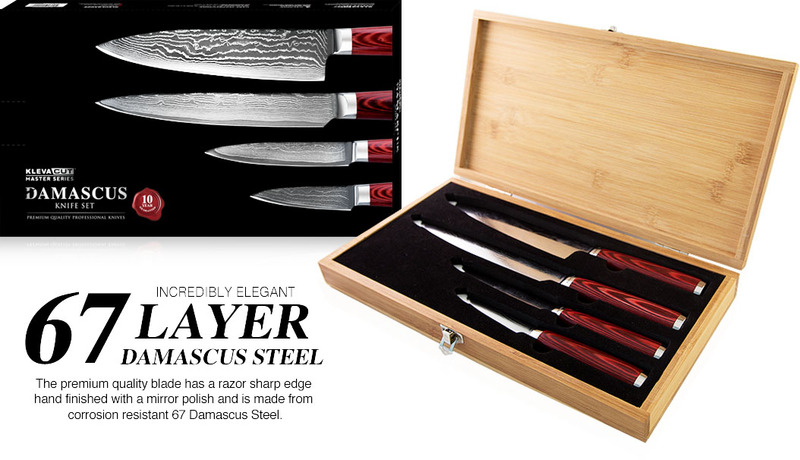 The exact composition of original Damascus steel is unknown today, as no records have been found describing this. 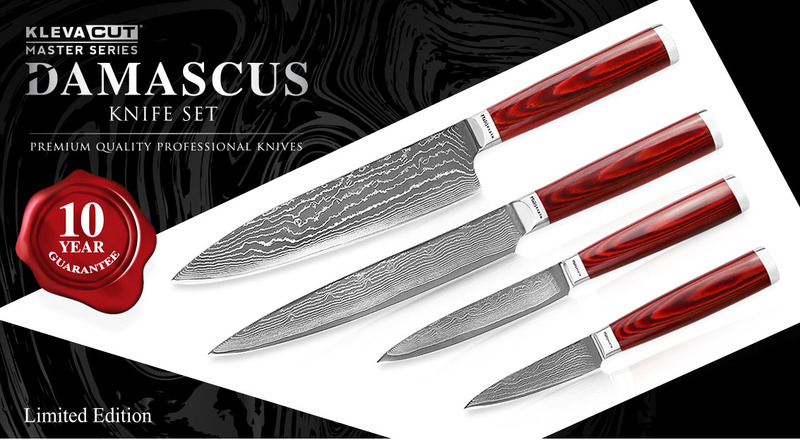 Yet Damascus steel lives on and continues to thrive today, where it still remains an iconic example of culinary excellence. 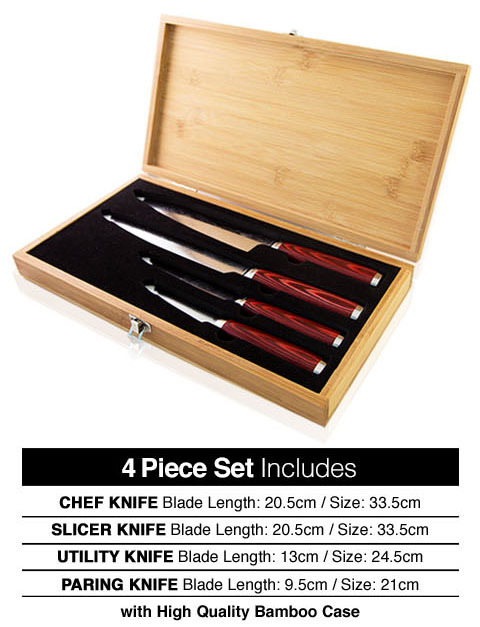 this knife set is perfect and for the price they are well worth it. would definitely recommend them to friends and family! 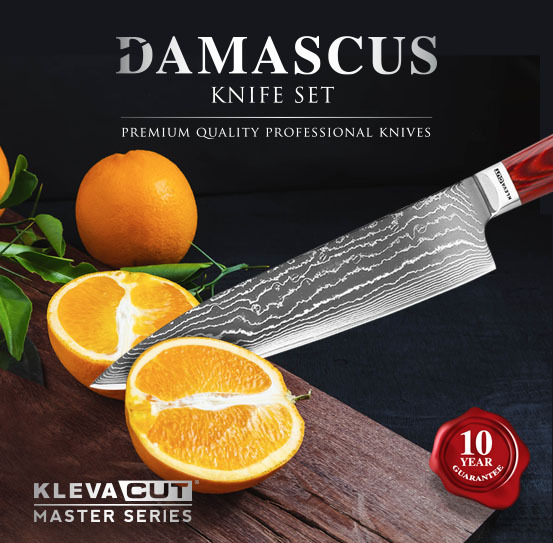 I have been looking for a set of damascus knives for ages! The quality is unreal, they are seriously sharp, and love using them. Best buy in a long time. Plus can't deny they look amazing in the kitchen. I bought these as a gift to my husband for his 50th, they are beautiful! He was so impressed! Fantastic quality, very happy! Ordered these knives and they have not disappointed, the blades are so sharp and they look as good as the pictures! Would 100 % recommend! !